Helpompi beta löytyi kuin ensinousussa. Hyvä pätkä oli greidi mitä tahansa. 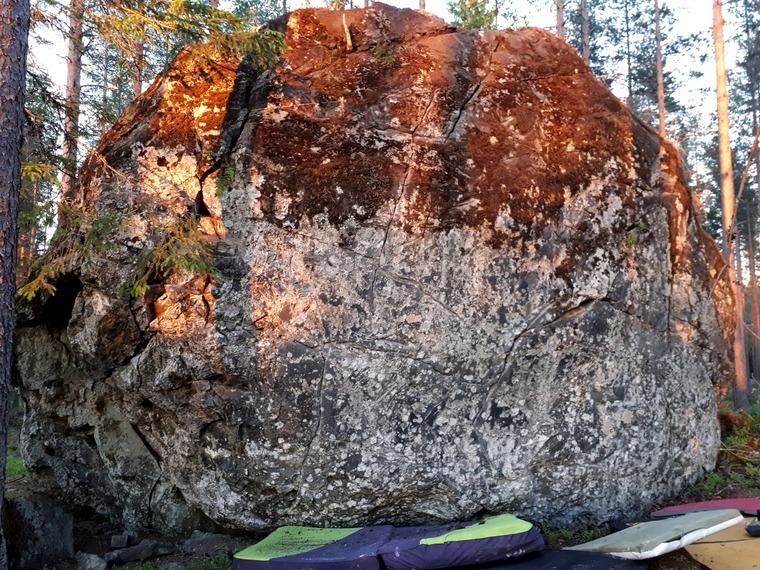 Alkuperäinen beta oli traverse alhaalla pystyhalkeemaan. Delicate but tough, project took double the time of any 6C+ or 7A I've climbed. Felt good to top this problem. Well. Technically not a flash as I tried the 7a and some holds are shared.